Description: Beautifully finished silver lapel pin. 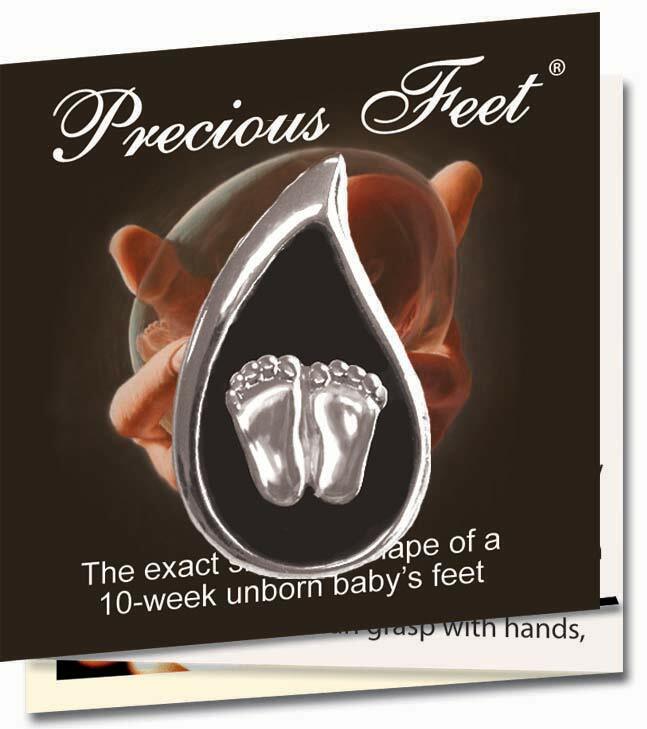 This tear drop with the international pro-life symbol "Precious Feet", is the exact size and shape of an unborn babies feet at 10 weeks after conception. 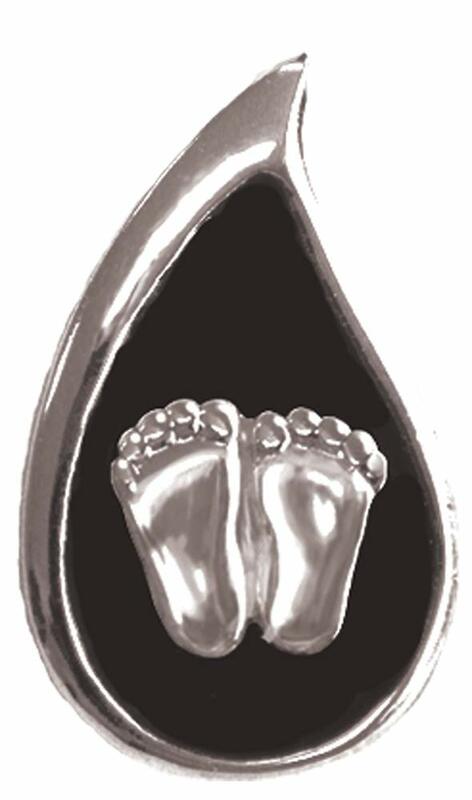 It is worn in memory of all the women and preborn children harmed by the abortion industry. 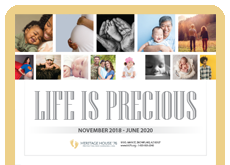 Since the infamous Roe vs Wade decision of 1973, the Precious Feet have been quietly doing their work changing hearts and saving lives. Every product that I have used from Heritage House has been great. I use a lot of the products as gifts and for teaching.